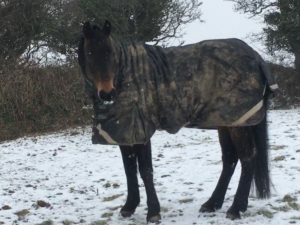 Earlier in the year, three lucky Horse&Rider readers won a 12-month training bursary from Dengie. As part of their prize, they won lessons with Dengie ambassadors, Hannah Esberger-Hancock and Lucy Jackson. Their horses were also given a nutritional consultation with Dengie’s Performance Horse Nutritionist, Claire Akers. 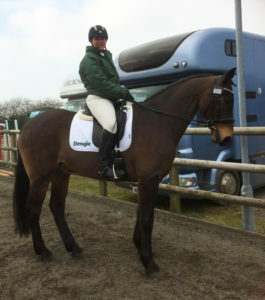 We catch up with one of the lucky winners, Libby Gill on how her competition preparation has gone with Sherbert, her 12-year-old, TB X Welsh Section D gelding. 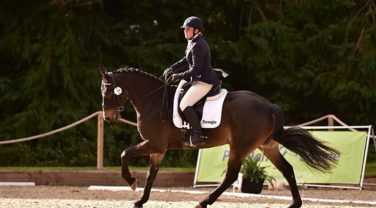 We catch up with Libby Gill on how her winter and competition preparation has gone with Sherbert, her 12-year-old, TB X Welsh Section D gelding.